The NaturallyCurly Book is Coming! Nineteen years ago, I embarked on this amazing adventure called NaturallyCurly.com, with $300, a 14-year-old web designer and a lifetime of frustration about the lack of respect, information and products for curly girls like us. I wanted to create a place for people like us – a place where people could get inspiration, support and education about their curls, coils and waves. In numerous conversations over the past decade, the idea for a book about this experience kept bubbling to the surface. But to write a book that truly reflected the power of NaturallyCurly – one that would be worthy of the many other people who helped shape the curly world – would take timeand resources. And those were two things that were always in short supply. There were brands to call, stories to write, new products to try. There came a point where it could not ignored. I realized I had to make the time to write a book. Having been a part of this curl revolution since before there was an established “curly world,” I had watched it evolve. I had the good fortune to work closely with so many of the pioneers and influencers in this important category. Because NaturallyCurly has no single point of view - providing information about all techniques, philosophies and product offerings – we’ve never had a one-size-fits-all industry. Since the beginning, our community has been inclusive – representing a wide range of ethnicities, age groups and hair textures from around the world. 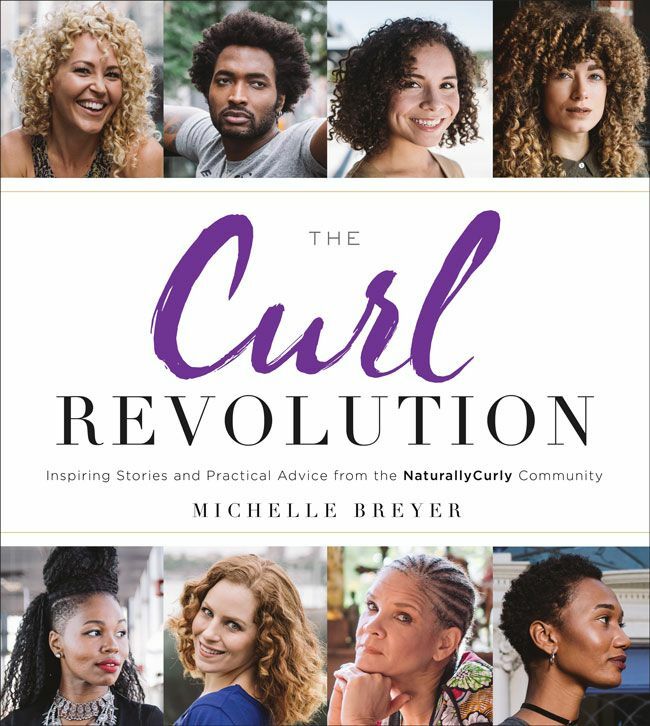 In The Curl Revolution: Inspired Stories and Practical Advice from the NaturallyCurly Community, we have compiled some of the best information from NaturallyCurly’s experts and community members collected over the past two decades. In the book, we take you through every step of the curl experience – from determining your texture type to figuring out your ideal regimen to finding the right cuts and styles. But this information is only a part of the story. I also wanted to share the inspirational stories of some of the top curly entrepreneurs, stylists, influencers and community members, without whom there would be no Curl Revolution. While we feature many curl icons – including actresses and singers – we also showcase beautiful photos of students and teachers, social workers and accountants. Many started their curly journey on NaturallyCurly. In addition to providing inspiration and education, The Curl Revolution is a way to say thank you to everyone who has been a part of this journey. It’s a tribute to our amazing, loyal and passionate community. Without you, there would be no NaturallyCurly. Your collective voice has been the powerful voice behind this revolution. The book launches Oct. 3rd, but is available for pre sale on Amazon and Barnes & Noble. I will be doing a book tour throughout the winter, and will be visiting cities around the country. I hope to meet you!